Matthew’s dream turned into Stuttering King Bakery, a bakery with a mission to train and employ autistic adults. His training program is modeled after the old-fashioned way of apprenticeship, consisting of hours of 1-on-1 tutoring. His bakery helps the 90% of autistic adults that are left unemployed or employed in very mundane and uninteresting jobs with no hope for advancement. SEED SPOT’s mentors taught me the basics to incorporate and insure my business. SEED SPOT’s mentors helped point me in the direction that I needed to turn my idea into a business. They helped me introduce wholesale with my retail business. SEED SPOT gave me a deep understanding of the concepts that I needed to grow. SEED SPOT taught me best practices for marketing and branding. SEED SPOT provided me with great exposure to the community and important local connections. Starting my own bakery after SEED SPOT was my dream and three years after, I am doing very well. I am currently working out of an at-home bakery, and the next step is to open a stand-alone bakery. I provide delicious pastries to coffee shops, farmer’s markets, corporations, and individual orders. I want everyone to love and enjoy wonderful home-baked, hand-crafted gourmet pastries. 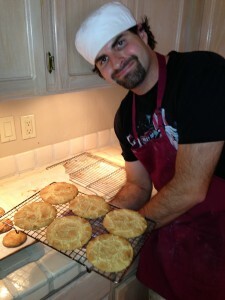 I am looking to train as many autistic adults that have a true passion for baking! 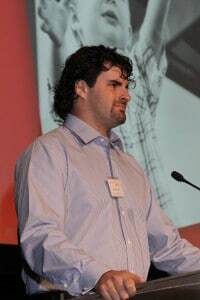 I have been asked to speak to high schools, at conferences, and meetings about employment for people with autism and what it takes to succeed. I speak to a lot of families and love to be an inspiration and encourage them. The primary obstacle that I have to deal with is learning how to balance being very busy and sometimes too slow. Next is trying to grow and start employing other people, meeting payroll, insurance, and all that comes with owning your own business. It’s scary to take that next step and to plan for the future. I want to grow my business and my apprenticeship many times over. Entrepreneurship is a wonderful opportunity to change not only your life but the lives of others. It comes at the price of a lot of hard work and long hours, but I think it's worth it! I love what I do and can’t wait to grow and grow.